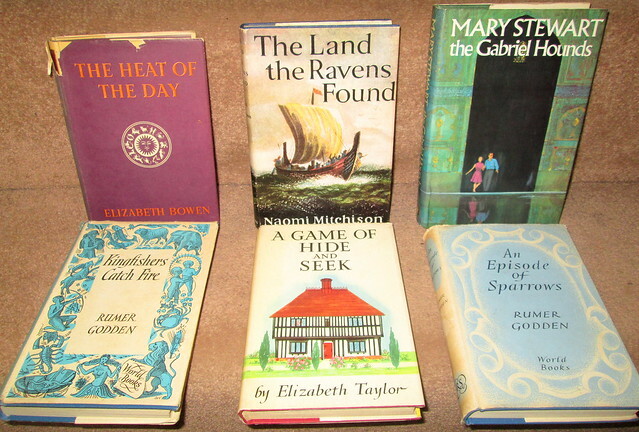 This entry was posted in Books, Personal and tagged Elizabeth Bowen, Elizabeth Taylor, Mary Stewart, Naomi Mitchison, Rumer Godden by Katrina. Bookmark the permalink. Much to reflect upon there, I’m sure. It makes me think that leaving the EU would make another European war more likely in the future, although I can’t see the youth of today falling for the rhetoric of the politicians and signing up. Horrible things, those flame throwers. Very upsetting to think about. On the other your list of new books makes me smile. I just picked up Gabriel’s Hounds too! Maybe we can do a readalong of it then. My husband and I have a trip to Germany planned later this year, and I have considered including Belgium since he lives near the border. I will interested in seeing your photos and hearing about your experience there. Aha, that makes it clear. We’re back in Holland now after three days in Belgium where we went for the first time. The Ypres area is very nice and the town is lovely, but I wonder how the locals feel about all the WW1 memorial tourism, if that’s the right word. Photos will follow – eventually.